Fresh Cut Grass is a Louisville, Kentucky- based bluegrass group made up of guitar, mandolin, banjo, fiddle and upright bass. With one foot planted firmly in the past and the other looking toward the future, Fresh Cut Grass has been entertaining audiences since 1995. The group specializes in hard- driving traditional music, slow pretty ballads and, most of all, gospel (Fresh Cut Grass offers an all- gospel program for churches). Known for tight vocal harmonies, from solo vocals to rich four-part gospel quartets, these musicians spend many hours getting their harmonies just right. 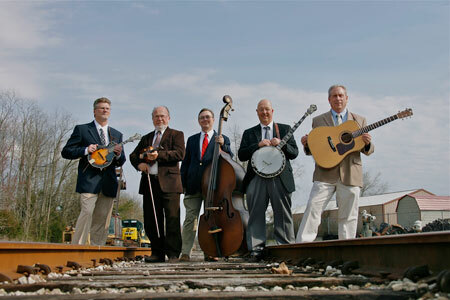 Fresh Cut Grass has shared the stage with some of the biggest names in bluegrass, and plays many live shows every year.